My grand father is legend guide at Mt. Fuji. He was last Sherpa at Mt. Fuji and he was active between 1940s and 1970s. He was on local news paper this week and introduced about Mt. Fuji guide history. 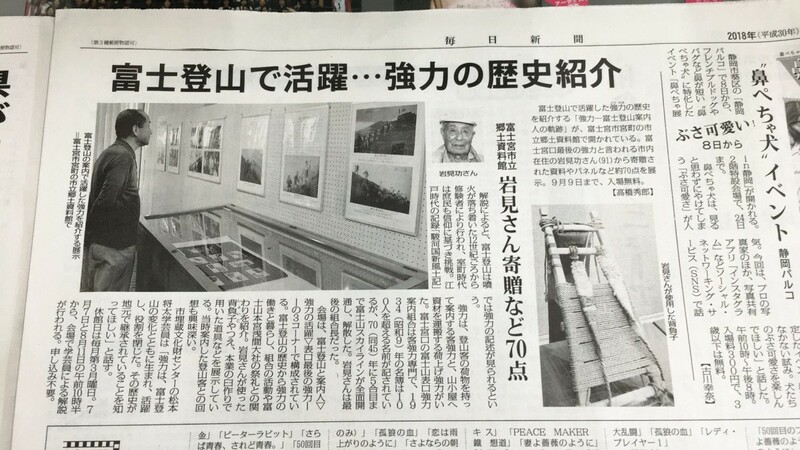 Recently media started to pick up about him and he has opportunity to talk about history of Mt. Fuji. He is 92 years old. He enjoys meeting people who are interested in Mt. Fuji! Copyright © 富士登山・富士山トレッキング　-IRORI- All Rights Reserved.